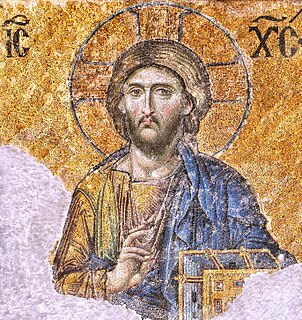 Christianity in late antiquity traces Christianity during the Christian Roman Empire – the period from the rise of Christianity under Emperor Constantine (c. 313), until the fall of the Western Roman Empire (c. 476). The end-date of this period varies because the transition to the sub-Roman period occurred gradually and at different times in different areas. 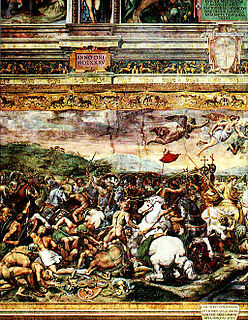 One may generally date late ancient Christianity as lasting to the late 6th century and the re-conquests under Justinian (reigned 527-565) of the Byzantine Empire, though a more traditional end-date is 476, the year in which Odoacer deposed Romulus Augustus, traditionally considered the last western emperor. In April 311, Galerius, who had previously been one of the leading figures in the Christian persecutions, issued the Edict of Serdica officially ending these persecutions. Galerius reigned for another 2 years and was then succeeded by an emperor with distinctively pro–Christian leanings, Constantine the Great. In 313, he and Licinius issued the Edict of Milan, officially legalizing Christian worship. In 316, he acted as a judge in a North African dispute concerning the Donatist controversy. More significantly, in 325 he summoned the Council of Nicaea, effectively the first Ecumenical Council (unless the Council of Jerusalem is so classified), to deal mostly with the Arian controversy, but which also issued the Nicene Creed, which among other things professed a belief in One Holy Catholic Apostolic Church, the start of Christendom. 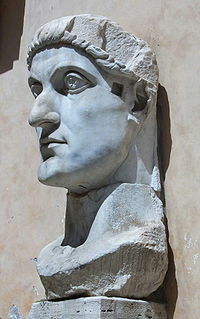 The reign of Constantine established a precedent for the position of the Christian Emperor in the Church. Emperors considered themselves responsible to God for the spiritual health of their subjects, and thus they had a duty to maintain orthodoxy. The emperor did not decide doctrine — that was the responsibility of the bishops — rather his role was to enforce doctrine, root out heresy, and uphold ecclesiastical unity. The emperor ensured that God was properly worshiped in his empire; what proper worship consisted of was the responsibility of the church. This precedent would continue until certain emperors of the fifth and six centuries sought to alter doctrine by imperial edict without recourse to councils, though even after this Constantine's precedent generally remained the norm. 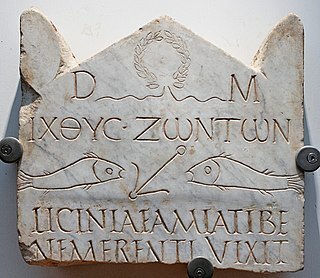 On February 27, 380, the Roman Empire officially adopted Trinitarian Nicene Christianity as its state religion. Prior to this date, Constantius II (337-361) and Valens (364-378) had personally favored Arian or Semi-Arianism forms of Christianity, but Valens' successor Theodosius I supported the Trinitarian doctrine as expounded in the Nicene Creed. On this date, Theodosuis I decreed that only the followers of Trinitarian Christianity were entitled to be referred to as Catholic Christians, while all others were to be considered to be practicers of heresy, which was to be considered illegal. In 385, this new legal authority of the Church resulted in the first case of many to come, of the capital punishment of a heretic, namely Priscillian. In the several centuries of state sponsored Christianity that followed, pagans and heretical Christians were routinely persecuted by the Empire and the many kingdoms and countries that later occupied the place of the Empire, but some Germanic tribes remained Arian well into the Middle Ages. The earliest controversies were generally Christological in nature; that is, they were related to Jesus' (eternal) divinity or humanity. Docetism held that Jesus' humanity was merely an illusion, thus denying the incarnation. Arianism held that Jesus, while not merely mortal, was not eternally divine and was, therefore, of lesser status than God the Father (John 14:28). Modalism (also called Sabellianism or Patripassianism) is the belief that the Father, Son, and Holy Spirit are three different modes or aspects of God, as opposed to the Trinitarian view of three distinct persons or hypostases within the Godhead. Many groups held dualistic beliefs, maintaining that reality was composed into two radically opposing parts: matter, usually seen as evil, and spirit, seen as good. Others held that both the material and spiritual worlds were created by God and were therefore both good, and that this was represented in the unified divine and human natures of Christ. The result of the Council led to political upheaval in the church, as the Assyrian Church of the East and the Persian Sasanian Empire supported Nestorius, resulting in the Nestorian Schism, which separated the Church of the East from the Latin Byzantine Church. In his Easter letter of 367, Athanasius, Bishop of Alexandria, gave a list of exactly the same books as what would become the New Testament canon, and he used the word "canonised" (kanonizomena) in regards to them. The African Synod of Hippo, in 393, approved the New Testament, as it stands today, together with the Septuagint books, a decision that was repeated by the Council of Carthage (397) and the Council of Carthage (419). These councils were under the authority of St. Augustine, who regarded the canon as already closed. Pope Damasus I's Council of Rome in 382, if the Decretum Gelasianum is correctly associated with it, issued a biblical canon identical to that mentioned above, or if not the list is at least a sixth-century compilation. Likewise, Damasus's commissioning of the Latin Vulgate edition of the Bible, c. 383, was instrumental in the fixation of the canon in the West. In 405, Pope Innocent I sent a list of the sacred books to a Gallic bishop, Exsuperius of Toulouse. When these bishops and councils spoke on the matter, however, they were not defining something new, but instead "were ratifying what had already become the mind of the Church." Thus, from the 4th century, there existed unanimity in the West concerning the New Testament canon (as it is today), and by the fifth century the East, with a few exceptions, had come to accept the Book of Revelation and thus had come into harmony on the matter of the canon. After legalisation, the Church adopted the same organisational boundaries as the Empire: geographical provinces, called dioceses, corresponding to imperial governmental territorial division. The bishops, who were located in major urban centers by pre-legalisation tradition, thus oversaw each diocese. The bishop's location was his "seat", or "see"; among the sees, five held special eminence: Rome, Constantinople, Jerusalem, Antioch, and Alexandria. The prestige of these sees depended in part on their apostolic founders, from whom the bishops were therefore the spiritual successors, e.g., St. Mark as founder of the See of Alexandria, St. Peter of the See of Rome, etc. There were other significant elements: Jerusalem was the location of Christ's death and resurrection, the site of a 1st-century council, etc., see also Jerusalem in Christianity. Antioch was where Jesus' followers were first labelled as Christians, it was used in a derogatory way to berate the followers of Jesus the Christ. Rome was where SS. Peter and Paul had been martyred (killed), Constantinople was the "New Rome" where Constantine had moved his capital c. 330, and, lastly, all these cities had important relics. The Bishop of Rome and has the title of Pope and the office is the "papacy." As a bishopric, its origin is consistent with the development of an episcopal structure in the 1st century. The papacy, however, also carries the notion of primacy: that the See of Rome is pre-eminent among all other sees. The origins of this concept are historically obscure; theologically, it is based on three ancient Christian traditions: (1) that the apostle Peter was pre-eminent among the apostles, see Primacy of Simon Peter, (2) that Peter ordained his successors for the Roman See, and (3) that the bishops are the successors of the apostles (apostolic succession). As long as the Papal See also happened to be the capital of the Western Empire, the prestige of the Bishop of Rome could be taken for granted without the need of sophisticated theological argumentation beyond these points; after its shift to Milan and then Ravenna, however, more detailed arguments were developed based on Matthew 16:18–19 etc. Nonetheless, in antiquity the Petrine and Apostolic quality, as well as a "primacy of respect", concerning the Roman See went unchallenged by emperors, eastern patriarchs, and the Eastern Church alike. The Ecumenical Council of Constantinople in 381 affirmed the primacy of Rome. Though the appellate jurisdiction of the Pope, and the position of Constantinople, would require further doctrinal clarification, by the close of Antiquity the primacy of Rome and the sophisticated theological arguments supporting it were fully developed. Just what exactly was entailed in this primacy, and its being exercised, would become a matter of controversy at certain later times. Historically, the most widespread Christian church in Asia was the Church of the East, the Christian church of Sasanian Persia. This church is often known as the Nestorian Church, due to its adoption of the doctrine of Nestorianism, which emphasized the disunity of the divine and human natures of Christ. It has also been known as the Persia Church, the East Syrian Church, the Assyrian Church, and, in China, as the "Luminous Religion". The metropolis of Seleucia assumed the title of "Catholicos", (Patriarch) and in AD 424 a council of the church at Seleucia elected the first patriarch to have jurisdiction over the whole church of the East, including India and Ceylon (Sri Lanka). The establishment of an independent patriarchate with nine subordinate metropoli contributed to a more favourable attitude by the Persian government, which no longer had to fear an ecclesiastical alliance with the common enemy, Rome. When Constantine converted to Christianity, and the Roman Empire which was previously violently anti-Christian became pro-Christian, the Persian Empire, suspecting a new "enemy within", became violently anti-Christian. The great persecution fell upon the Christians in Persia about the year 340. Though the religious motives were never unrelated, the primary cause of the persecution was political. I rejoice to hear that the fairest provinces of Persia are adorned with...Christians...Since you are so powerful and pious, I commend them to your care, and leave them in your protection". For the next two decades and more, Christians were tracked down and hunted from one end of the empire to the other. At times the pattern was general massacre. More often, as Shapur decreed, it was intensive organized elimination of the leadership of the church, the clergy. A third category of suppression was the search for that part of the Christian community that was most vulnerable to persecution, Persians who had been converted from the national religion, Zoroastrianism. As we have already seen, the faith had spread first among non-Persian elements in the population, Jews and Syrians. But by the beginning of the 4th century, Iranians in increasing numbers were attracted to the Christian faith. For such converts, church membership could mean the loss of everything – family, property rights, and life itself. Converts from the "national faith" had no rights and, in the darker years of the persecution, were often put to death. Sometime before the death of Shapur II in 379, the intensity of the persecution slackened. Tradition calls it a forty-year persecution, lasting from 339-379 and ending only with Shapur's death. Christianity became the official religion of Armenia in 301 or 314, when Christianity was still illegal in the Roman Empire. Some[who?] 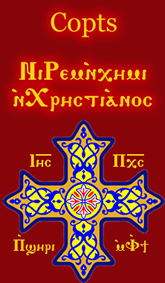 claim the Armenian Apostolic Church was founded by Gregory the Illuminator of the late third – early fourth centuries while they trace their origins to the missions of Bartholomew the Apostle and Thaddeus (Jude the Apostle) in the 1st century. According to the fourth-century Western historian Rufinius, it was Frumentius who brought Christianity to Ethiopia (the city of Axum) and served as its first bishop, probably shortly after 325. ^ Ehler, Sidney Zdeneck; Morrall, John B (1967). Church and State Through the Centuries: A Collection of Historic Documents with Commentaries. p. 6. ISBN 9780819601896. ^ "Lecture 27: Heretics, Heresies and the Church". 2009. Retrieved 2010-04-24. Review of Church policies towards heresy, including capital punishment (see Synod at Saragossa). ^ G. T. Stokes, “Sabellianism,” ed. William Smith and Henry Wace, A Dictionary of Christian Biography, Literature, Sects and Doctrines (London: John Murray, 1877–1887), 567. ^ e.g., Bauer, Walter (1971). Orthodoxy and Heresy in Earliest Christianity. ISBN 0-8006-1363-5. ; Pagels, Elaine (1979). The Gnostic Gospels. ISBN 0-679-72453-2. ; Ehrman, Bart D. (2003). Lost Christianities: The Battles for Scripture and the Faiths We Never Knew. New York: Oxford. ISBN 0-19-514183-0. ^ Council of Trent of 1546 for Roman Catholicism, the Thirty-Nine Articles of 1563 for the Church of England, the Westminster Confession of Faith of 1647 for Calvinism, and the Synod of Jerusalem of 1672 for the Eastern Orthodox. ^ a b Philostorgius via Photius, Epitome of the Ecclesiastical History of Philostorgius, book 2, chapter 5. ^ Auxentius of Durostorum, Letter of Auxentius, quoted in Heather and Matthews, Goths in the Fourth Century, pp. 141-142. The First Council of Constantinople was a council of Christian bishops convened in Constantinople in AD 381 by the Roman Emperor Theodosius I. This second ecumenical council, an effort to attain consensus in the church through an assembly representing all of Christendom, except for the Western Church, confirmed the Nicene Creed, expanding the doctrine thereof to produce the Niceno-Constantinopolitan Creed, and dealt with sundry other matters. 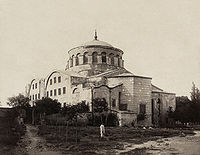 It met from May to July 381 in the Church of Hagia Irene and was affirmed as ecumenical in 451 at the Council of Chalcedon. 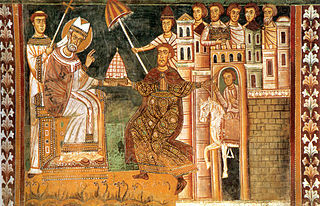 Constantinian shift is a term used by some theologians and historians of antiquity to describe the political and theological aspects and outcomes of the 4th-century process of Constantine's integration of the Imperial government with the Catholic church that began with the First Council of Nicaea. The term was popularized by the Mennonite theologian John H. Yoder. In 7th-century Christianity, Roman Emperor Justinian launched a military campaign in Constantinople to reclaim the western provinces from the Germans, starting with North Africa and proceeding to Italy. Though he was temporarily successful in recapturing much of the western Mediterranean he destroyed the urban centers and permanently ruined the economies in much of the West. Rome and other cities were abandoned. In the coming centuries the Western Church, as virtually the only surviving Roman institution in the West, became the only remaining link to Greek culture and civilization.